Global Mobile Mapping Systems Market-Segmented by Application, End-user, Type, and Region-Growth, Trends, and Forecast (2018-2023) provides an Extensive Research on the fast-evolving Mobile Mapping Systems Market. It also gives Competitive Analysis of the Leading Companies with Regional and Global Analysis of the Market till 2023. 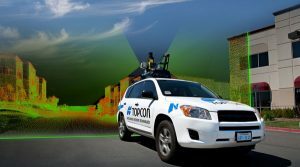 Dallas, United States - June 14, 2018 /MarketersMedia/ — Mobile Mapping Systems Market Report, has been prepared based on an in-depth market analysis with inputs from industry experts. The report covers the market landscape and its growth prospects over the coming years. The global Mobile Mapping Systems Market was valued at USD 15.29 billion in 2017 and is expected to reach a market value of USD 50.34 billion by 2023, registering a CAGR of 21.97% during 2018 – 2023.Mobile mapping has become much dynamic and pervasive, with increasing use of telecommunication networks and availability of cost effective and portable sensors. The scope of the report is segmented by Imaging Services, Aerial Mobile Mapping, Emergency Response Planning, Internet Application, Facility Management, and Satellite applications. The scope is also segmented by end-user and type of system. The demand of spatial data has been witnessing explosive growth during the past two decades. Currently, the spatial data of road objects is being collected traditionally using aerial photogrammetric technology and terrestrial surveying technology. With new techniques coming into adoption, mobile mapping system such as vehicle borne laser mapping system begins to be used for road mapping. Companies are developing land based mobile mapping systems to overcome the drawbacks. Mobile mapping offers benefits such as reduction in both the time and cost of data collection. Land based Mobile Mapping System is just the platform system, which uses mobile mapping technology. Mobile Mapping System integrates navigation sensors and algorithms together that can be used to determine the position of points remotely with all of the sensors rigidly mounted together on a platform (Vehicle). The navigation sensors are used to determine the position of the platform and its orientation simultaneously. The remote sensors gives the information about the position of points external to the platform. Hence mobile mapping systems are integrating with all kinds of vehicles making the market to further grow during the forecast period. Electric cars will play major role in the integration of vehicles. Mining companies deploy LiDAR technologies for safety and monitoring are the application areas, however, the deployment in inefficient in exploration purposes. LiDAR scanners are deployed in opening pit mines, where they are used to monitor small scale faults that would lead to catastrophic failures and breakdowns. Scanners are also used to monitor stockpiles and measure the amount of material that comes out of a mine and whether the remains are getting dangerously steep. Current operations include stationary operations, with LiDAR system mounted on a pillar and aimed at a spot 24 hours a day to monitor changes. Also. Growing adoption of automation in mining industry is driving investments in the sector thus boosting the growth of Mobile mapping applications. Hence, there is a huge growth for mining industry for mobile mapping systems market during the forecast period. North America dominated the global 3D mapping and 3D modeling market accounting for largest market revenue share in 2016. The growth is mainly driven by increasing demand for mobile mapping systems for 3D city modeling. 3D models are used to envision future construction projects, ancient buildings, forts and castles and to help in the analysis of various simulation scenarios, such as disaster management and traffic control.